Custom Wedding Invitations in Atlanta. Letterpress and Foil Stamping. As a standard, we print on 100% cotton papers as well as several specialty papers, wood, and fabric. Our printing methods include letterpress and foil stamping. 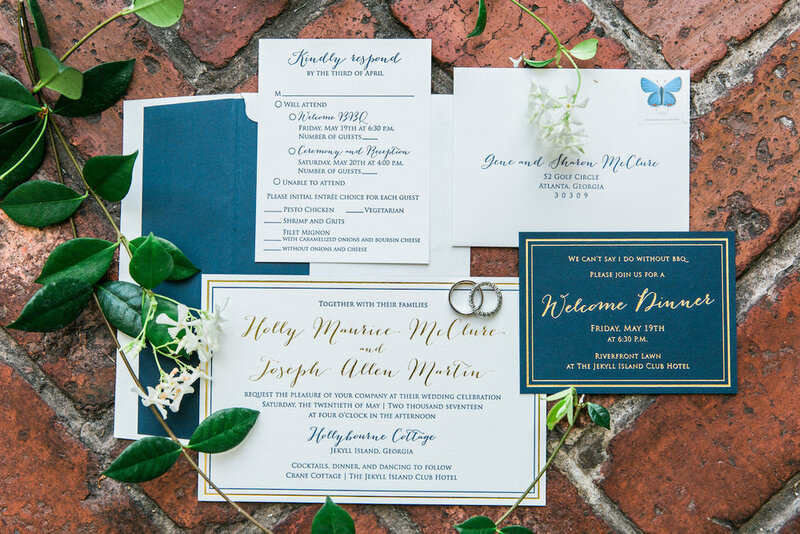 We offer custom designed stationery for weddings, corporate, and all life's celebrations. Our custom invitation suites come assembled with postage applied.